users to try Google prompt as their 2-Step Verification (2SV) method, instead of SMS text messages. 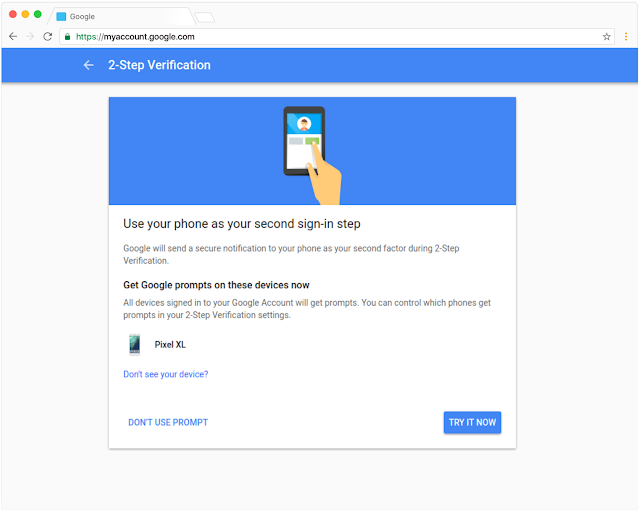 Google prompt is an easier and more secure method of authenticating an account, and it respects mobile policies enforced on employee devices. With that in mind, we’re now making Google prompt the first choice when users turn on 2SV (previously, SMS was the primary choice). Once 2SV is enabled, users will still have the option to set up SMS, the Google Authenticator app, or backup codes as their alternative second step. This will only impact users who have not yet set up 2SV. Current 2SV users' settings will be unaffected. In addition, if a user attempts to set up 2SV but doesn’t have a compatible mobile device, he or she will be prompted to use SMS as their authentication method instead. Users can set up 2SV from their My Account page. Users with iOS devices will need to install the Google app in order to use Google prompt. In July, we began inviting users to try Google prompt as their 2-Step Verification (2SV) method, instead of SMS text messages. 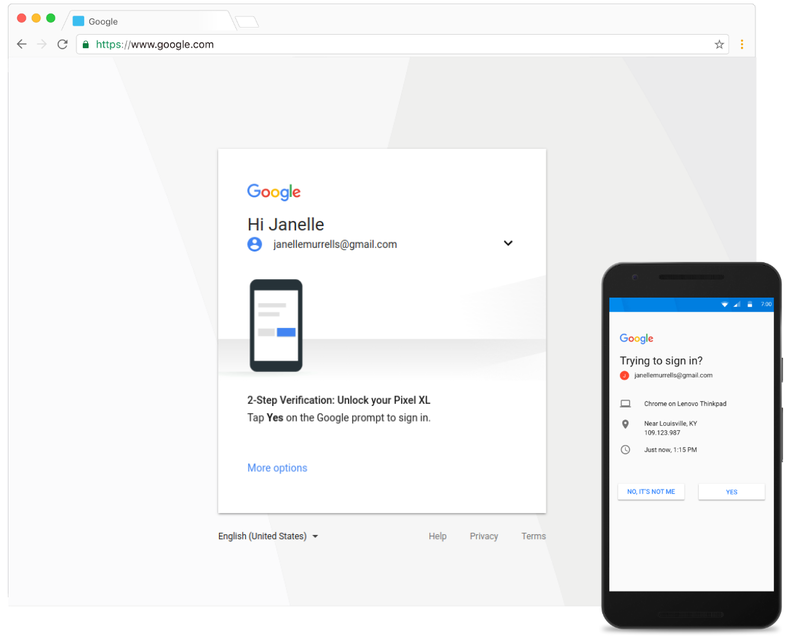 Google prompt is an easier and more secure method of authenticating an account, and it respects mobile policies enforced on employee devices.